Lately there’s been a lot of commentary about Canonical’s new package that they’ll be using to count computers using Ubuntu for an OEM partner. As that last comment clearly said, people need to calm down about this. Even if they were tracking users in disagreeable ways, it’s open source and out in the open. If they start doing something shady, people can see that in the code and you can just uninstall it. From what I understand, it’s not even going to be part of the default- it’s specifically for an OEM’s customers which implies ‘normal’ Ubuntu users aren’t going to have this installed. Why is it such a surprise that a software maker would want to see how many users they have? In the commercial world where a software license is involved, user registration often is required and the software maker can be privy to all kinds of customer demographics. When my parents fill out these registration forms, it doesn’t even occur to them to not enter the information or to lie. They just type it in. And if that data is anonymous why should we begrudge our Linux distribution of choice a few demographics that will help them hone their product. There are several other ways open source companies try to find out what they can- without threatening users. There’s Smolt from Red Hat which openSUSE also participates in that’s intended to evaluate hardware support priorities based on the userbase for a certain device. Debian has Popcon and openSUSE has Popcorn, their own spin on it. According to the description it “is an attempt to map the usage of … packages.” What a great idea! Know what users are using! It’s shocking! Why Would You Want Your App to Phone Home? Here’s a great example. 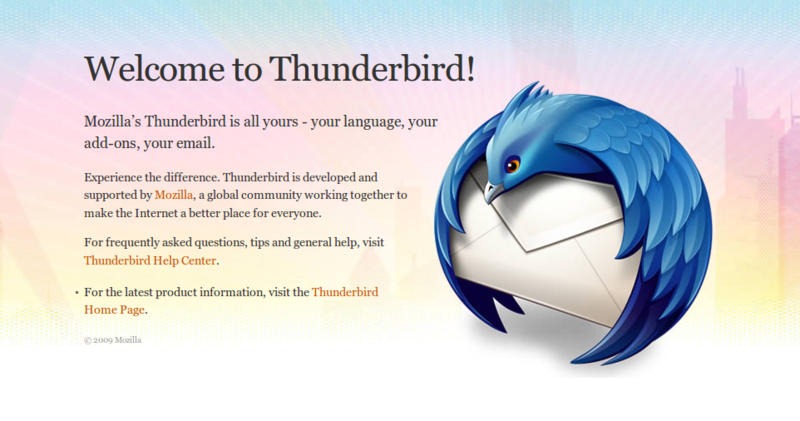 Thunderbird from Mozilla uses the phone home tactic to great effect. 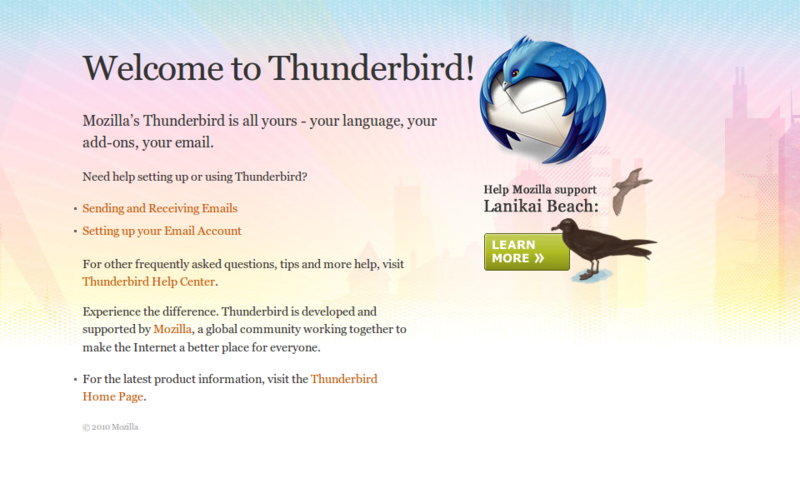 At least since Thunderbird 2, the start screen when Thunderbird opens is by default a web page on Mozilla’s servers. They don’t know it’s you- don’t worry. But they can get an idea of their userbase in broad terms. Not just that, they can show users content targeted to the version the user has installed. If the user is using a version that’s about to be abandoned, they can be warned. 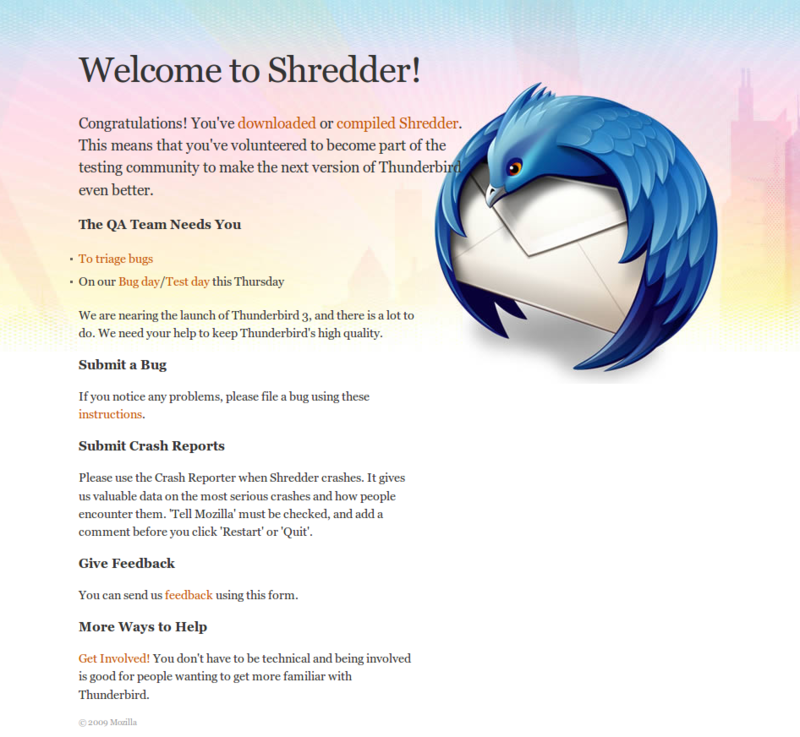 In the Shredder example (Thunderbird’s developer version codename), early adopters and testers are given information that will help them get feedback to the Thunderbird development team. In the 3.1 start page, Mozilla adds a donation button for a good cause. Potentially, they could highlight a feature every day, training the user on how to use the app from within the app itself! The start page can be overridden, but most users won’t bother, leaving this valuable two-way communication channel open for you to better understand and help your users to use your app even better. Maybe phoning home isn’t for you, but maybe it’s going to be key to making your app great. Think about it. By the way, the Thunderbird pages are here, here, here, and here.